Top kitchen contractors in your area | All 360° Verified! We'll put up to 3 contractors in competition to get you the best quotes for your kitchen remodel. Get referred to top kitchen contractors in your area now! Looking for kitchen contractors? We've gathered the best in your area! Whether you're looking to renovate your kitchen or add one to your home, no need to look any further! We found the best kitchen contractors ! They have all undergone a rigorous 360° Verification process. At Reno-Assistance, we take care of checking a variety of factors regarding their qualifications so you wouldn't need to. Our verification process looks at their licenses' validity, their judicial history, their financial standing, and much more. 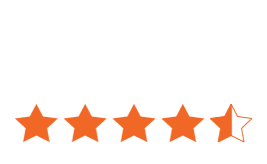 When you get in touch with us, we'll get you up to three contractor quotes, as well as provide you with each contractor's verification report. Our Renovation Advisors are also available to answer any questions you might have, from beginning to end, at no cost, no obligation to you. We've rounded up top kitchen contractors for your future renovations. Why not check out the contractors we have in store for you? You have nothing to lose! A kitchen renovation isn't a simple feat. There are so many elements and operations that need to be considered when undergoing such a project. For instance, you'll need to think about plumbing, ventilation, tiling, flooring, electrical work, etc. You'll also need to take care of picking out the right cabinets and which materials to use in your space. A kitchen renovation is quite the investment, so you'll want to make sure you hire a competent contractor and that the materials you opt for will last longer than just a few years. Hiring a kitchen contractor will give you peace of mind. You're sure to have a qualified professional taking care - and remembering - every detail that needs to be considered for the project. They're essentially general contractors that specialize in kitchen remodels. At Reno-Assistance, our contractors will provide you with a great turnkey service - meaning they can go from design to execution and complete everything according to your needs, budget, and desires. Hiring a handyman might feel like a clever choice when planning on renovating your kitchen. How much work can it really take to update your space, right? Wrong. Trusting a general contractor that specializes in kitchen renovations is definitely worth it - especially on the long run. A kitchen contractor has the expertise needed for big and small renovations. They also know the right subcontractors and suppliers to get the job done right, and know how to properly coordinate all the work that needs to be done. A qualified contractor will be able to confidently tell you whether or not your renovation plans are feasible, and will complete the project by using your budget effectively. The best part about working with a 360° Verified Contractor? They have all the required licenses, contrary to a handyman. Hiring a competent and qualified contractor minimizes your risks of encountering an issue during the renovation process. Designing a kitchen can be rather complex. However, your chosen contractor can offer kitchen designer services. This will help you get a better idea of what your future kitchen will look like before they proceed with demolition work. If ever they don't offer these services, we'll be glad to refer you to a kitchen designer. Of course, you can attempt your kitchen demo yourself. Though, you'd need to be extremely attentive and not nick any pipes or electrical components. That's why we suggest getting a professional to do it. They're fully equipped to ensure nothing gets damaged and won't demolish something by mistake. Entrusting them with the demo process will avoid any costly mistakes. Plus, they're properly insured for the work they're doing, whereas you wouldn't be. Your specialized general contractor will coordinate all the trades needed for roughing in, such as all the plumbing and electrical work that needs to be done to prepare for upcoming installations. Once the "rough" is completed, your contractor can then proceed to close up the walls and floors, followed by tiling the floor. After putting in the floor and painting the walls, your kitchen contractor will put up the cabinets, put up the backsplash, install the countertop, as well as install the kitchen sink. This is the most exciting part! The finished product is almost here! The contractor will install your light fixtures, molding, fittings, and all other accessories that'll make your kitchen come to life. When undergoing renovations, each step needs proper planning. Renovating or remodelling a kitchen is a grand project. Kitchen contractors will know just what you need and what to do to make your dream kitchen come to life. Working with them will help you save time and likely money in the long term. Are you looking to get inspired before moving forward with your kitchen reno? Take a look at all the kitchen ideas we have up on Reno Inspiration. You'll find a ton of projects completed by our contractors. Hiring a kitchen contractor that was referred by a friend or family member might not be the best choice. It doesn't mean that it worked out for them, that it'll work out for you. Nor does it mean that they're properly qualified for the work that needs to get done. We suggest always meeting with contractors before hiring them. By simply speaking with them, you'll get a sense of whether they're qualified for your kitchen renovation or not. Your gut feeling is a lot more important than you might think. However, we believe you should ask them some questions when meeting with them to solidify your decision in hiring them (or not hiring them). If you're meeting with our 360° Verified Contractors, we've already taken care of qualifying them. Though, feel free to ask them any of the following questions. There's no such thing as having too much information when it comes to confiding your kitchen renovation to a contractor. How many employees will work on the kitchen? Will your team prepare the worksite or will we have to take care of it? What precautions will you take to avoid any damages to my home and furniture? Are there suppliers you can refer me to for my kitchen's materials? Will the signed quote become our agreement, or will there be a separate document that will dictate our contractual obligations? How much does it cost to hire a kitchen contractor cost? A kitchen contractor's hourly rate will vary depending on their years of experience and their qualifications. On average, their rates are between $45/hour and $100/hour, but it truly varies and can rise significantly. As for other trades you might need to hire, their costs change per trade. For instance, plumbers and electricians charge upwards of $100/hour. A tiler and a painter might have a similar hourly rate to that of your kitchen contractor. Essentially, labour costs for your renovation will depend on the number of hours needed to complete the project, as well as how experienced the hired contractors are. When contractors offer you a full turnkey service, you won't need to worry about the hourly rates if ever a slower employee is on the job. The overall quote you've received from the kitchen contractor will typically include labour costs. It also tends to be cost effective to get materials supplied by the contractor. They usually have agreements and discounts with their preferred suppliers. Depending on your kitchen's size and the quality of the materials you choose, a full kitchen renovation can vary anywhere between $12,000 and $40,000+. Find out more about kitchen renovation costs on our Reno Blog! Finding the best-suited contractor for your kitchen renovation might not be as easy as you'd think. Although friends and family might refer some contractors your way, they might not be the right fit. We pride ourselves in having rounded up only the best kitchen contractors in your area. 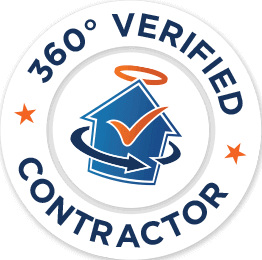 You're sure to get qualified contractors referred to you as they're all 360° Verified. 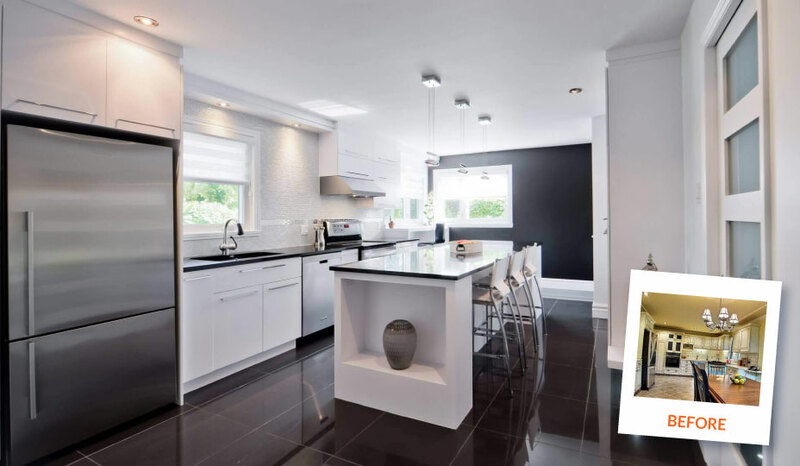 Trusting us to find the ideal kitchen contractor for your renovation means you'll also have a dedicated Renovation Advisor. Having built a relationship over time with many contractors, your advisor will be able to refer the right ones your way - according to your needs and wants for your kitchen remodel. Their service is at no cost, no obligation to you. Ready to get free quotes from only the top your area kitchen renovators? We've got hundreds of 360° Verified Contractors that work with us. We'll gladly gather up to 3 contractors to bid on your kitchen renovation. We'll only refer those we believe suit your needs, as well as your expectations, budget, etc. We're confident we have the right kitchen contractor for you!